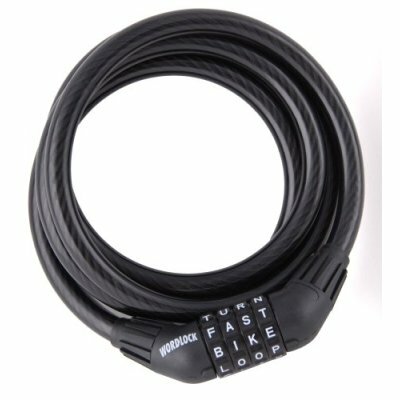 Wordlock 4-Letter 5-Foot Cable Bike (blue) [Wordlock 4-Letter 5FT Cable Bike] - $14.95 : NewDaVincis.com!, Great Innovative Products, Gadgets and more. The Wordlock is a combination lock that uses easy to remember words instead of numbers. Use Word NOT Numbers ! Words are our most natural form of communication and easier to remember than a series of numbers.